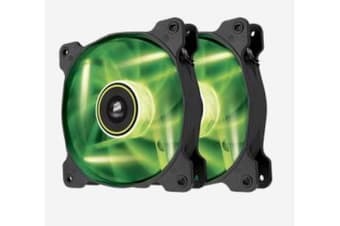 Corsair SP 120mm Fan with Green LED High Pressure. Twin Pack! *1 xCorsair SP 120mm Fan with Green LED High Pressure. Twin Pack!